At Arden, Freehold Communities’ new master-planned community in Palm Beach County, an active lifestyle, resort-style amenities and innovative home designs all come together to create a new kind of community that meets the needs of modern families. 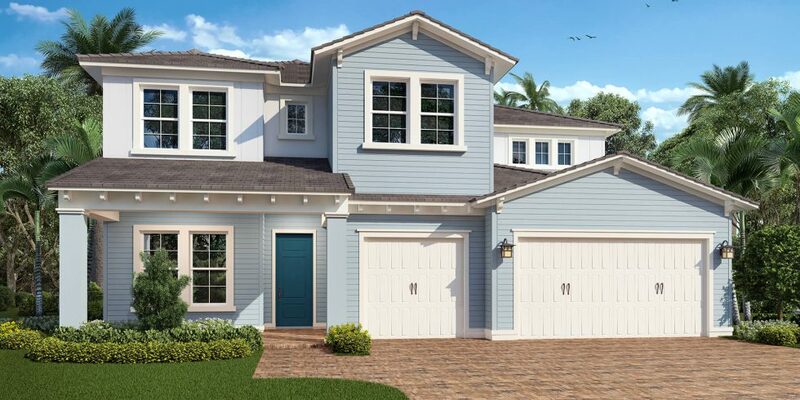 Lennar is helping bring this vision to life with their beautiful, thoughtfully designed homes. Lennar is offering a variety of elegant, modern floor plans at Arden. Homes will range in size from 2,631 to 3,555 square feet, and feature Coastal, Spanish and Craftsman architectural styles. With three to four bedrooms and three to four bathrooms, homes will start from the $400,000s. Homes by Lennar are designed for a modern way of life. Welcoming front porches, spacious living areas, large covered patios and three-car garages provide families with tons of functional, livable space for spreading out or entertaining. Additionally, each home by Lennar has enough smart home technology to make the Jetsons jealous. A video doorbell, smart locks and Wi-Fi thermostat are just a few of the standard smart products, all controlled by Amazon Alexa. Furthermore, Lennar is offering some of the world’s first Wi-Fi CERTIFIED Home Designs™, so you can rest assured that you’ll have full signal and connectivity throughout the entire home. As one of the nation’s leading homebuilders since 1954, Lennar is proud to provide homebuyers with homes built to last a lifetime, and they strive to make the homebuying process as easy as possible with their Everything’s Included approach. Premium features like recessed lighting in the kitchen, granite vanities in the bathrooms and smart technology throughout the home all come standard with Lennar. Want to learn more about the homes and lifestyle at Arden? Make sure to join the Founders Club to always stay up to date on Arden happenings.